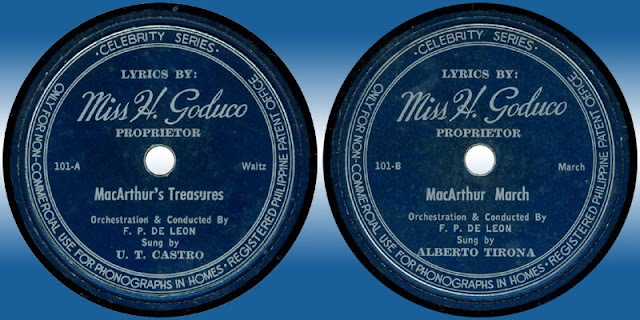 GOLD is the most desired metal on earth since the ancient times of pharaohs in Egypt. Biblical King Solomon had a legendary gold mine, making him the richest ruler in the world in 930 BC. There is a saying that “The one who has the Gold rules the World” that is why so many nations want to control the supply of Gold in the world. The price of these precious metals has gone up steadily over the past few years making it a good investment. 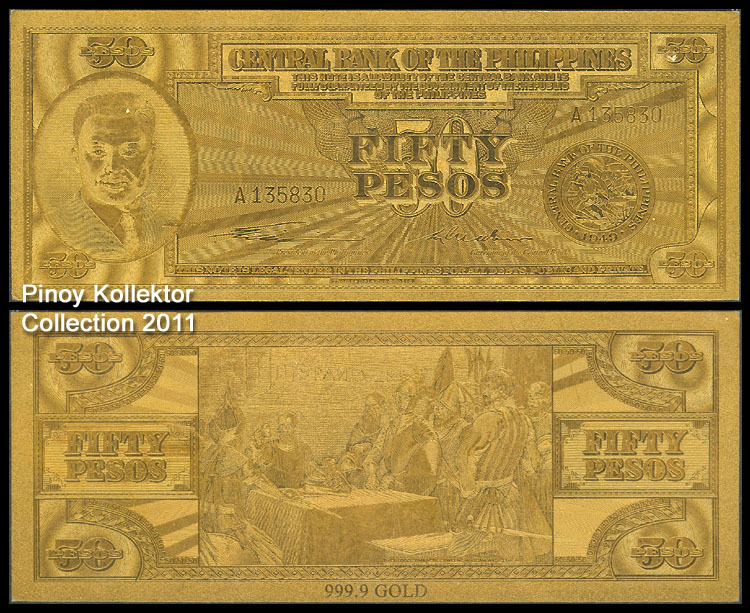 We have seen Philippine gold coins but not a gold banknote. Over the years I have seen only 2 Philippine banknotes made of gold – the 1949, 50 Pesos English Series and the 1998, 1000 Pesos ERAP Commemorative banknote. 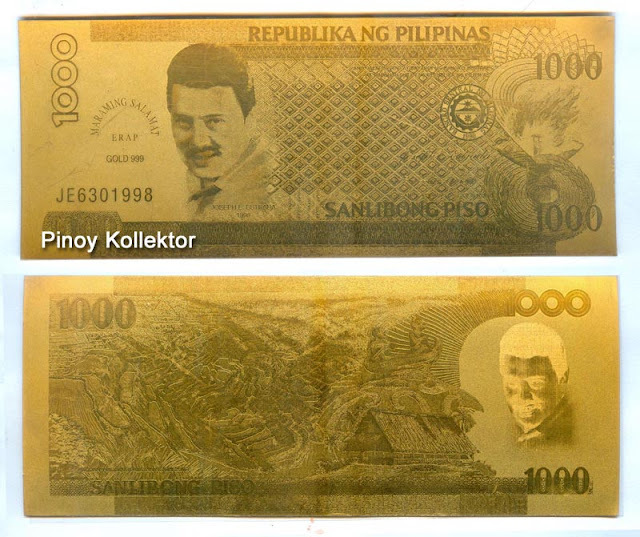 These notes are made of 23 carat gold foil. 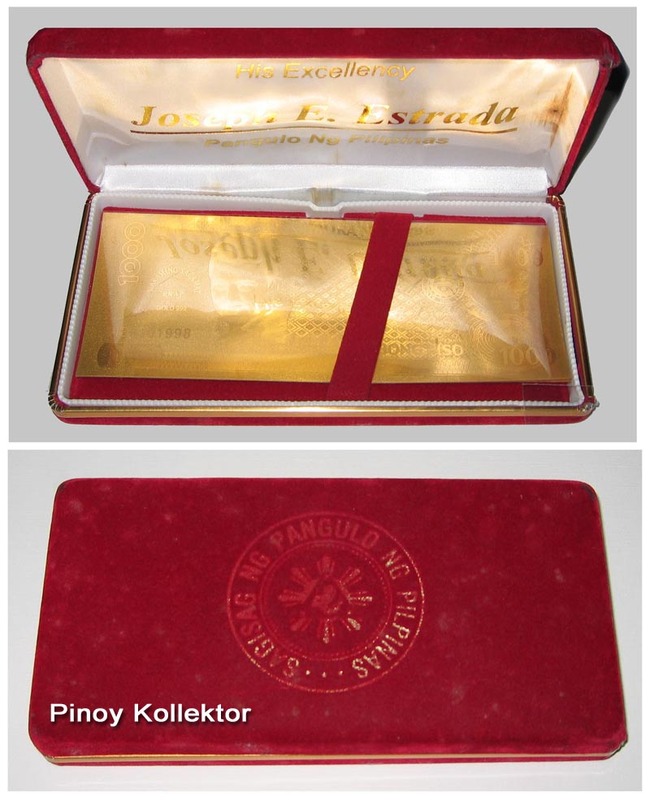 Here are the two fine specimen Philippine gold banknotes. 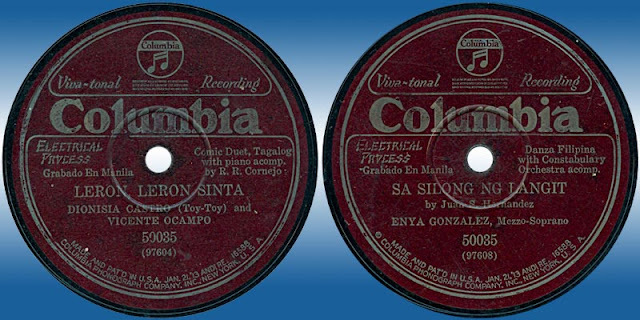 50 Pesos English Series featuring Gen. Antonio Luna on the obverse and the Blood Compact at the reverse. While looking at my cigarette wrapper collection I noticed that I have several wrappers that were made in Malabon. 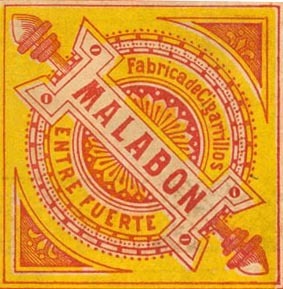 Although I do not live there anymore, Malabon has a special place in my heart. 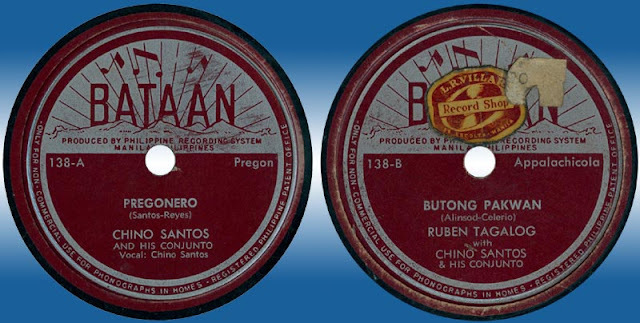 Malabon is home to 2 large tobacco factories: the La Princesa or Fabrica ng Princesa and the Insular-Yebana Tobacco Company. 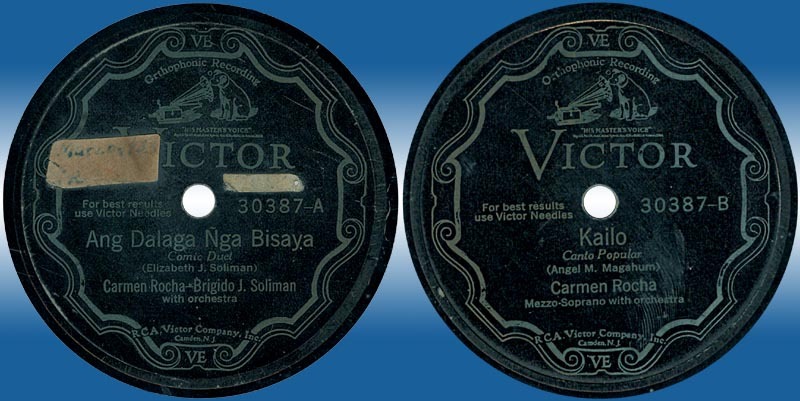 During the colonial times the biggest cigarette complex was the La Princesa Tabacalera which was located in Barrio Hulo, Malabon. 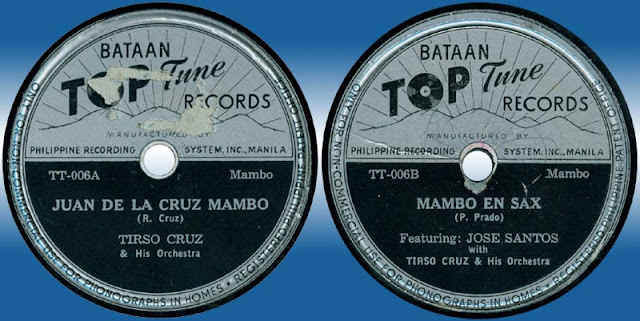 The compound was so big that it was able to accommodate as many as 10,000 workers. 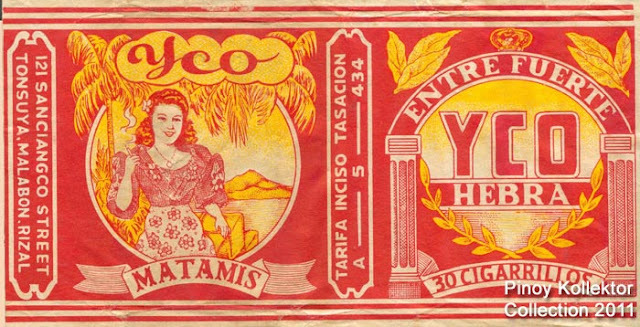 The Insular-Yebana Tobacco Company was located in Barangay Tugatog. 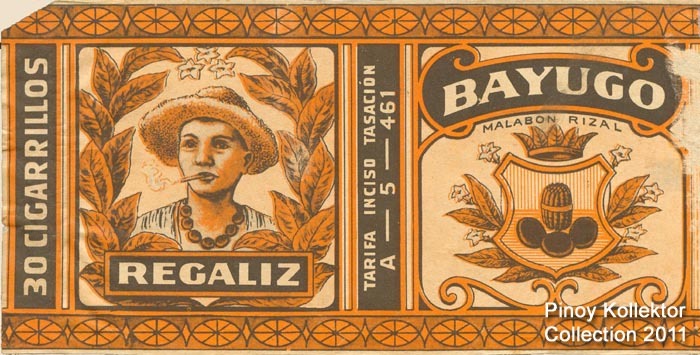 It was a leading native cigarette maker during its peak. 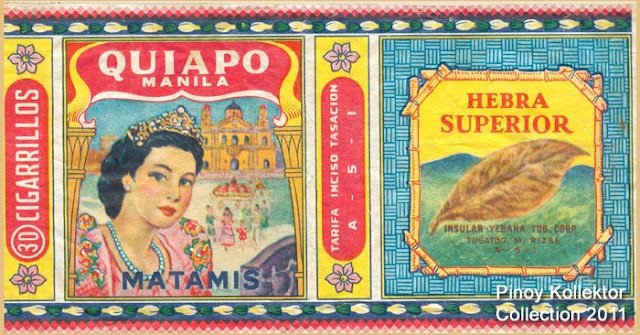 Some of its popular cigarette brands were "Aliwan," "La Isabela," "Quiapo," and "La Yebana." 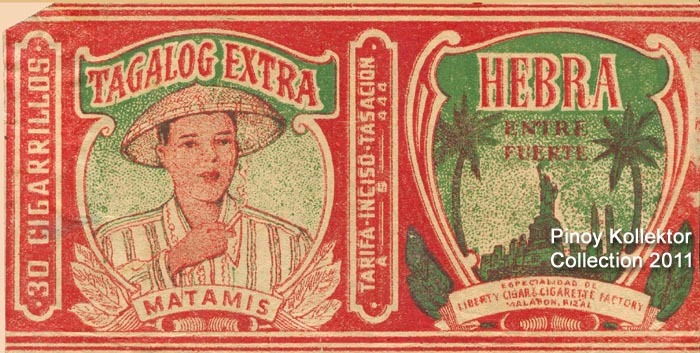 The company have a tobacco processing plant in Ilocos and Isabela. 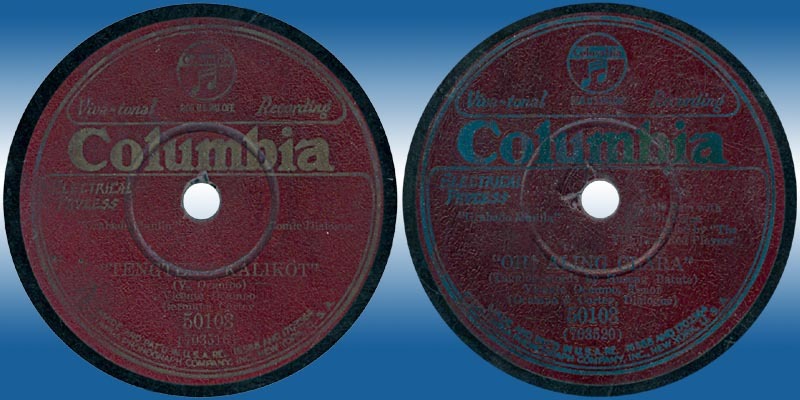 ANTIQUE is term used for old collectible that represents a previous era or time period in human society. 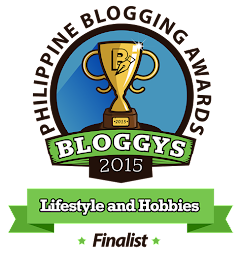 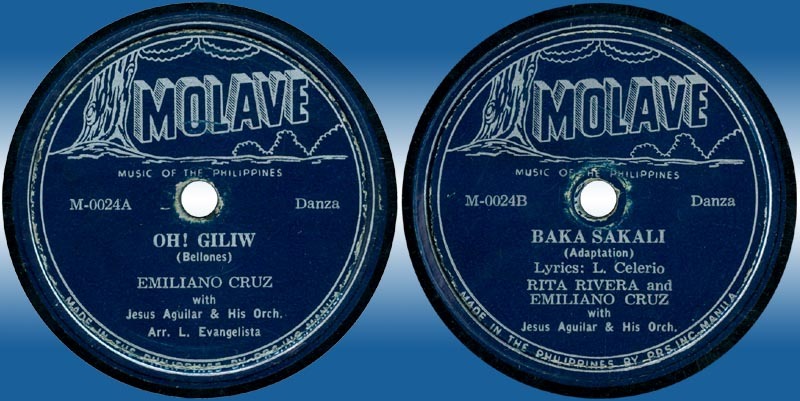 I called this antique music because we have forgotten these Filipino artists and their songs. Some of them became National Artist for Music like Atang Dela Rama, Jovita Funtes, Levi Celerio, and Antonio Molina for their contribution to the development of Philippine music. All of these records were pressed in shellac, 78 rpm format. 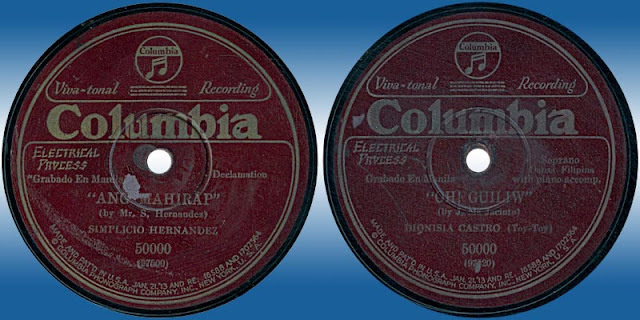 Earlier record materials were a rather brittle formula of 25% shellac, a filler of a cotton compound similar to manila paper, powdered slate, and a small amount of a wax lubricant. 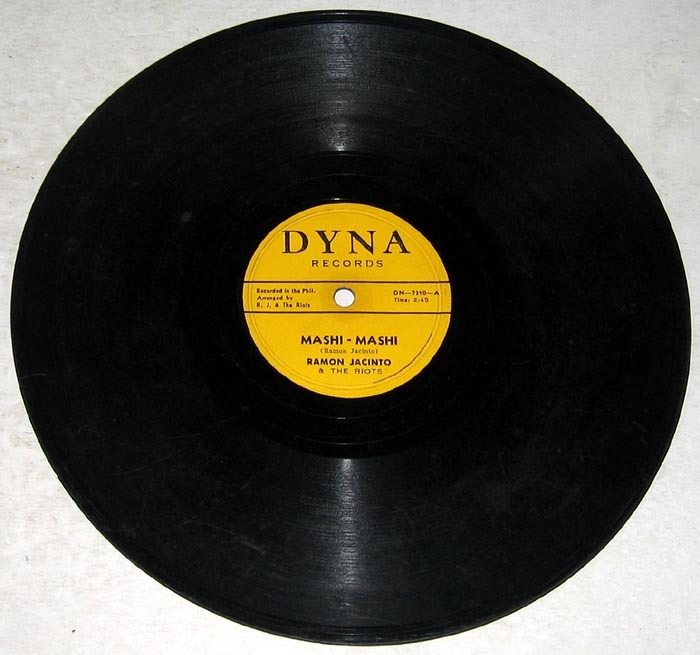 The record size is 10 inches in diameter with two – three minutes of playing time. We are more familiar with Original Pilipino Music (OPM) that became popular in the late 1970s when Filipino music composers started to make pop songs in Pilipino, but we should also remember this genre of older music. 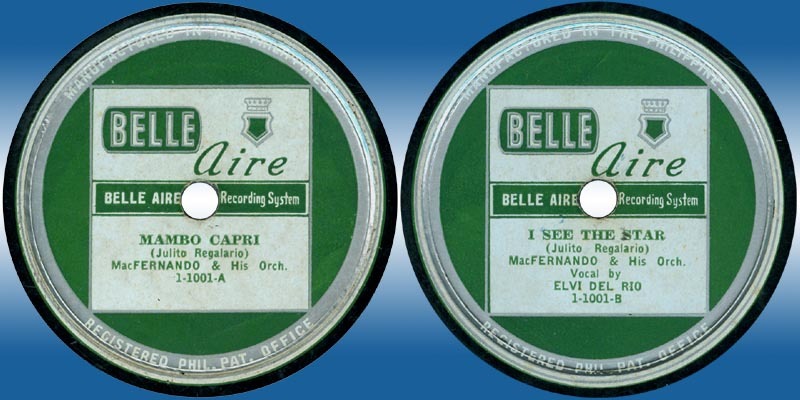 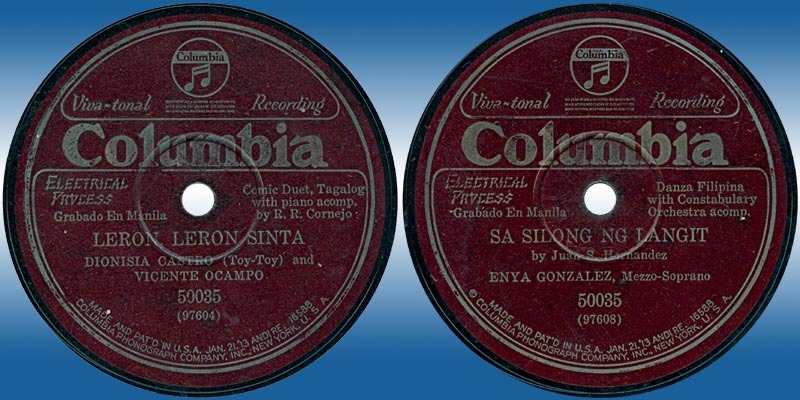 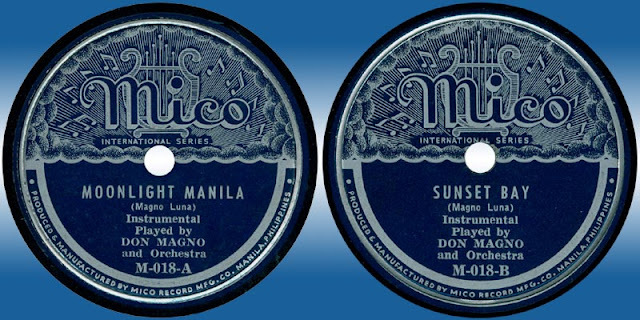 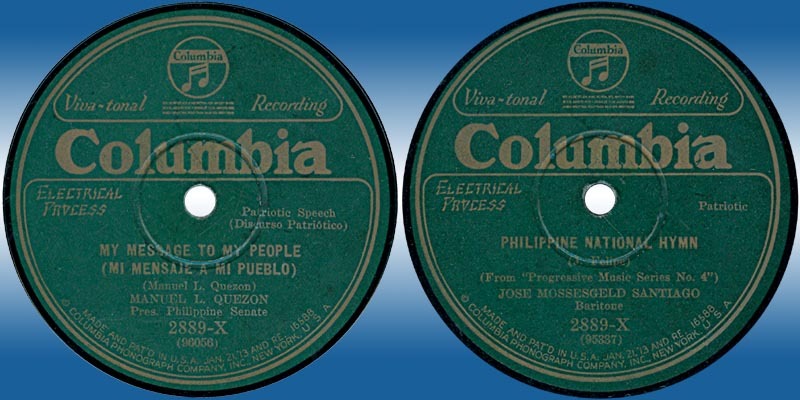 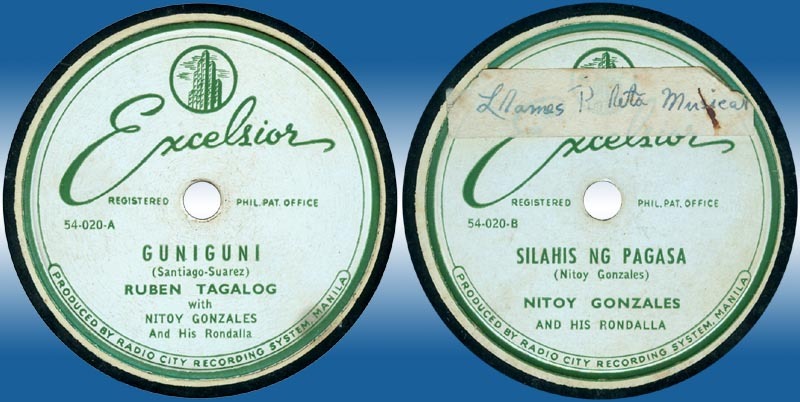 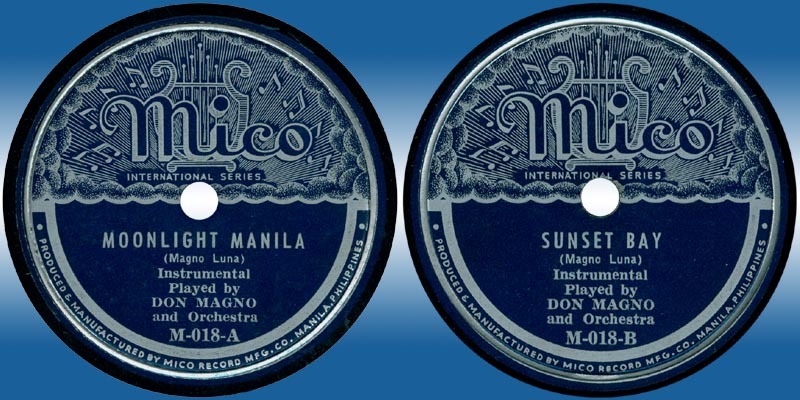 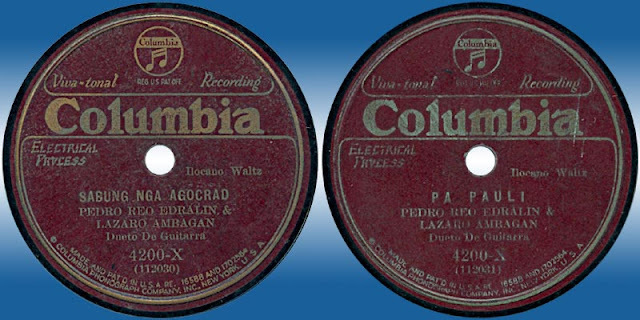 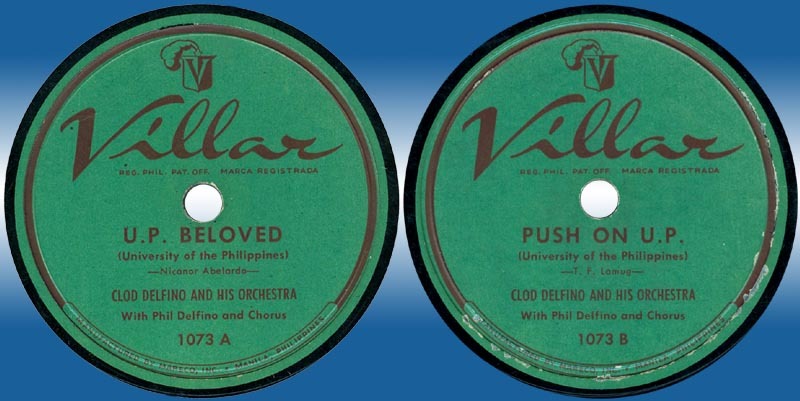 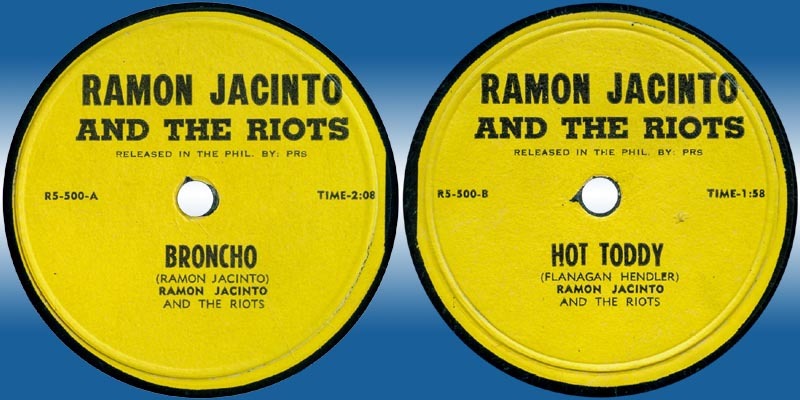 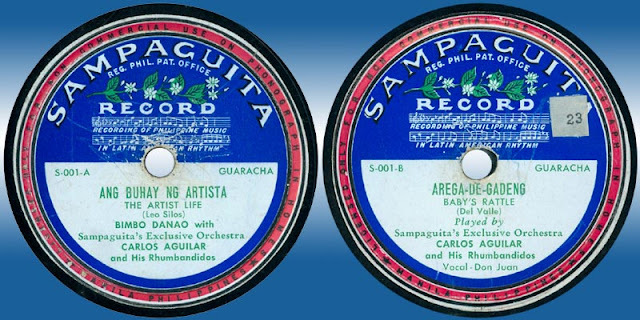 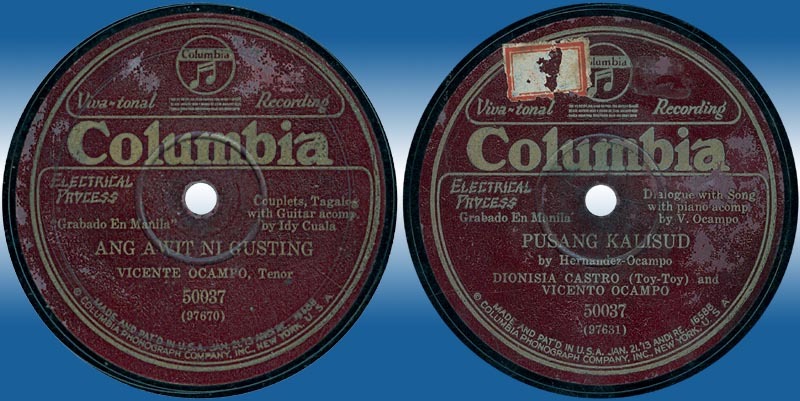 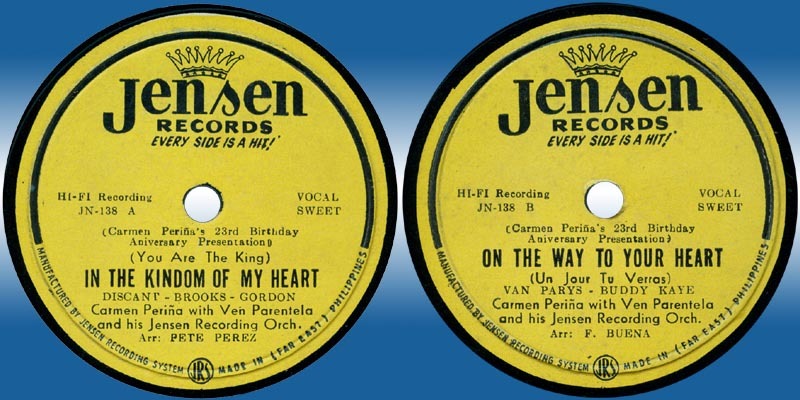 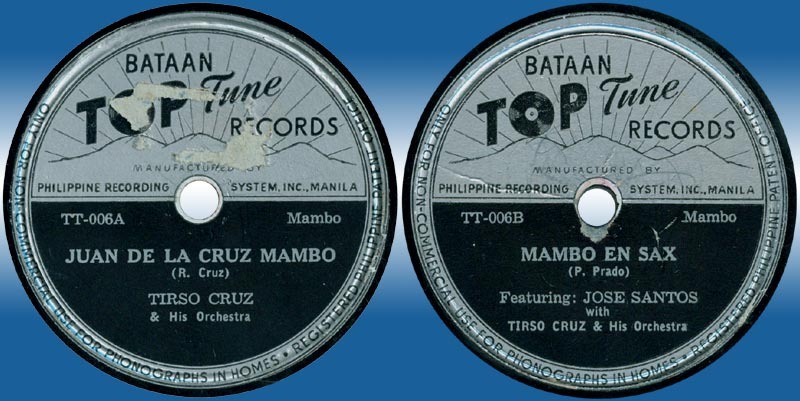 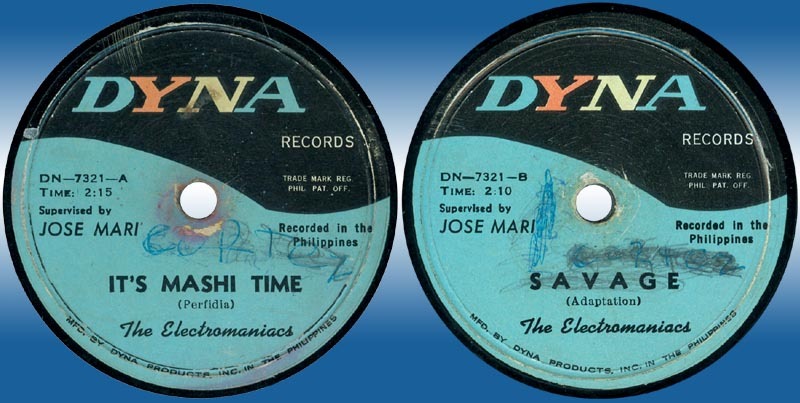 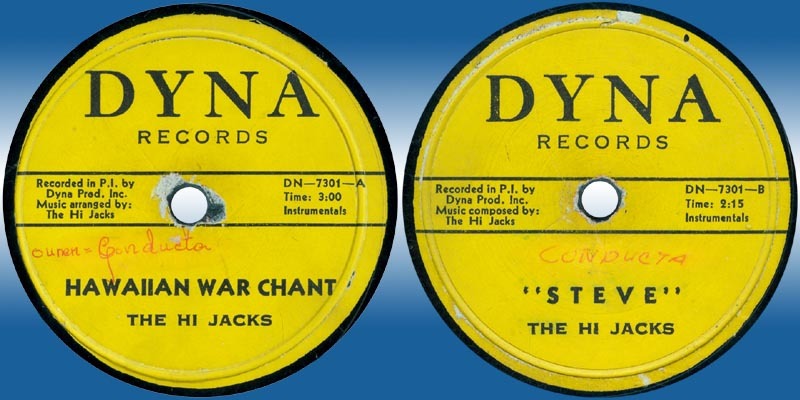 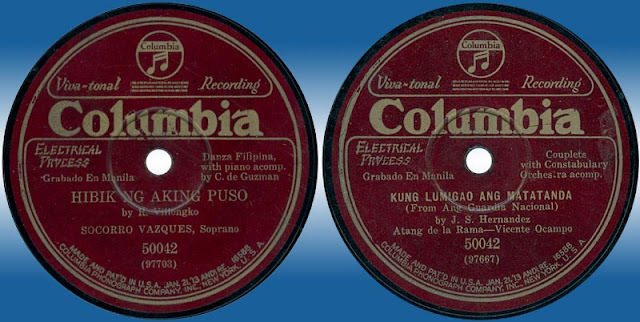 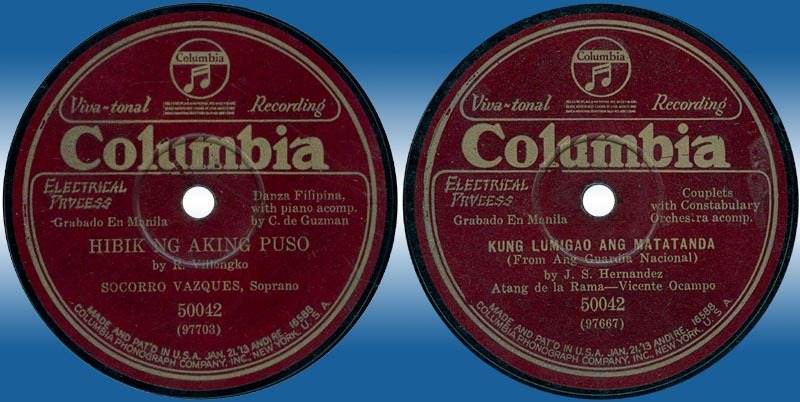 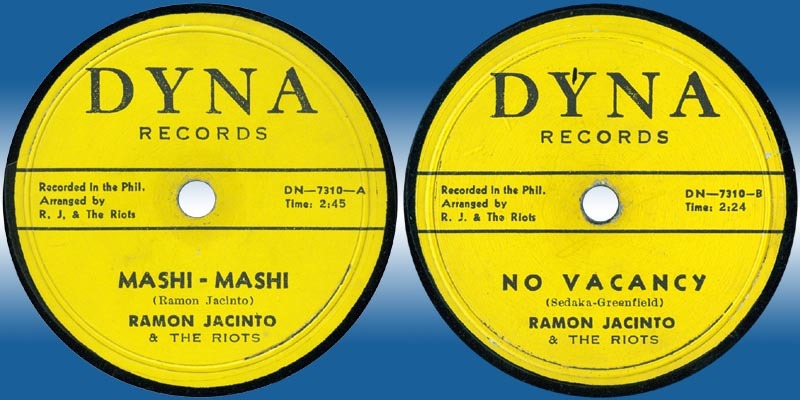 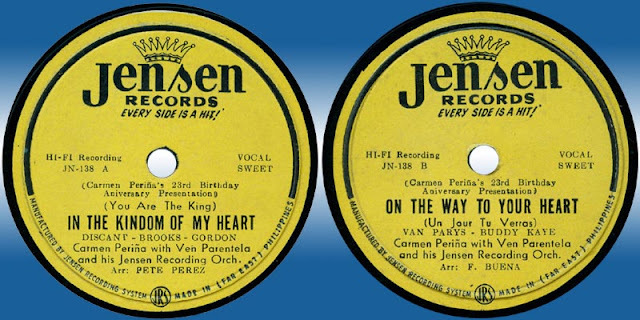 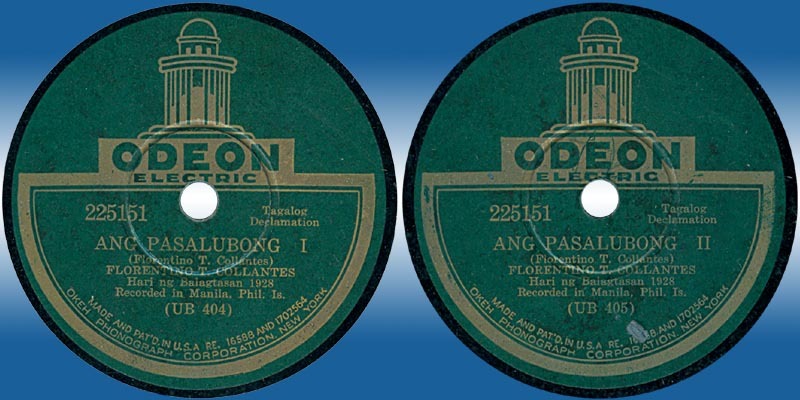 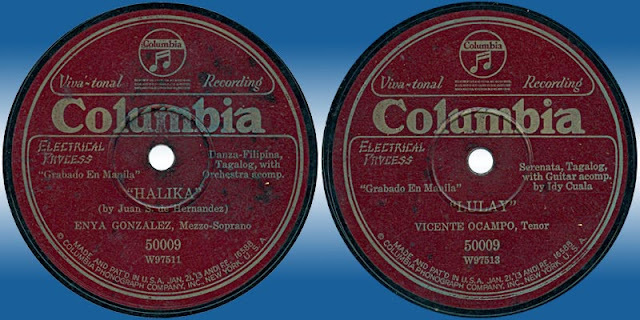 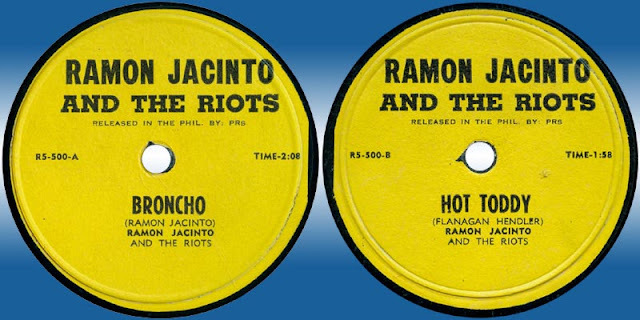 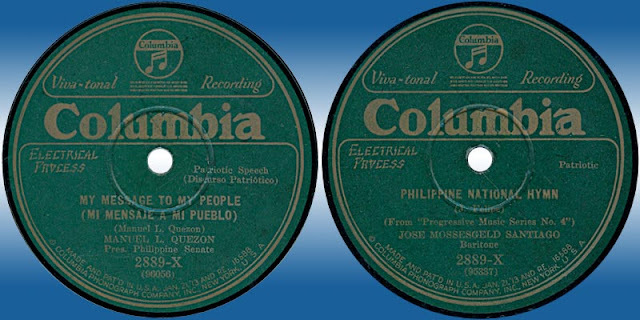 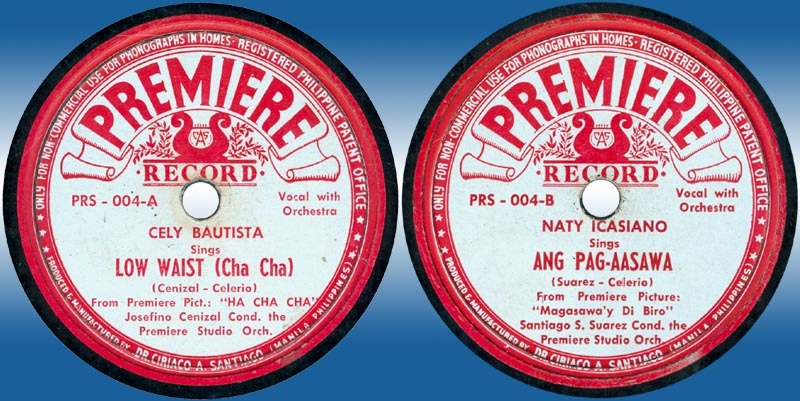 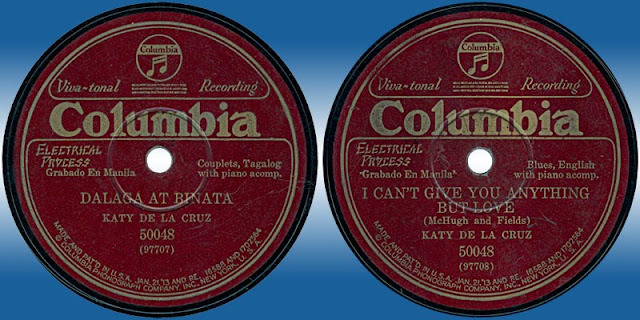 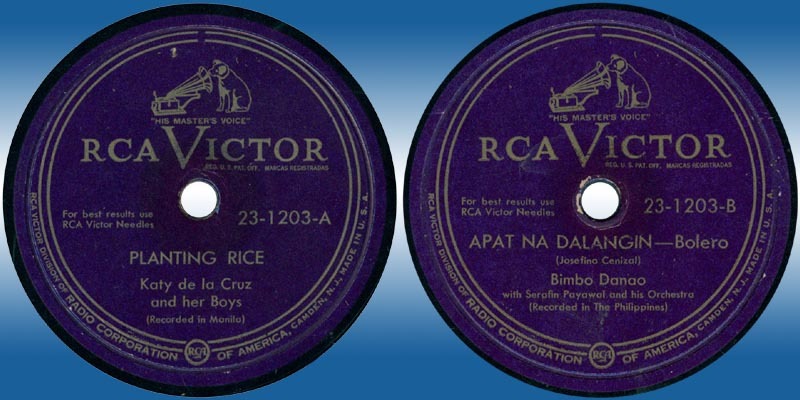 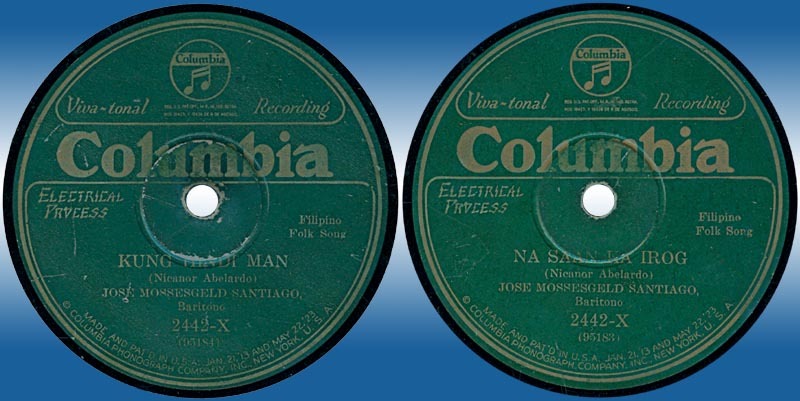 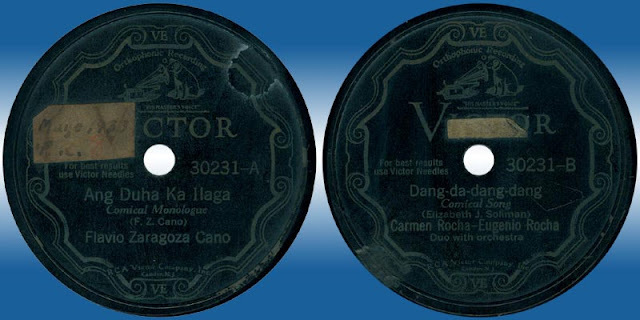 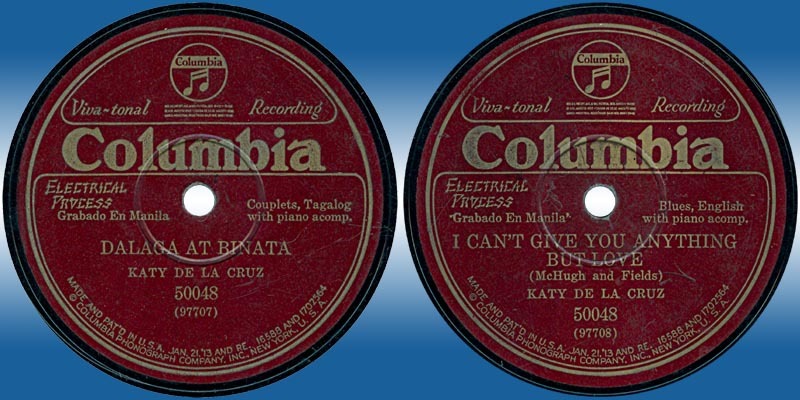 I would like to share some of these early Philippine records.